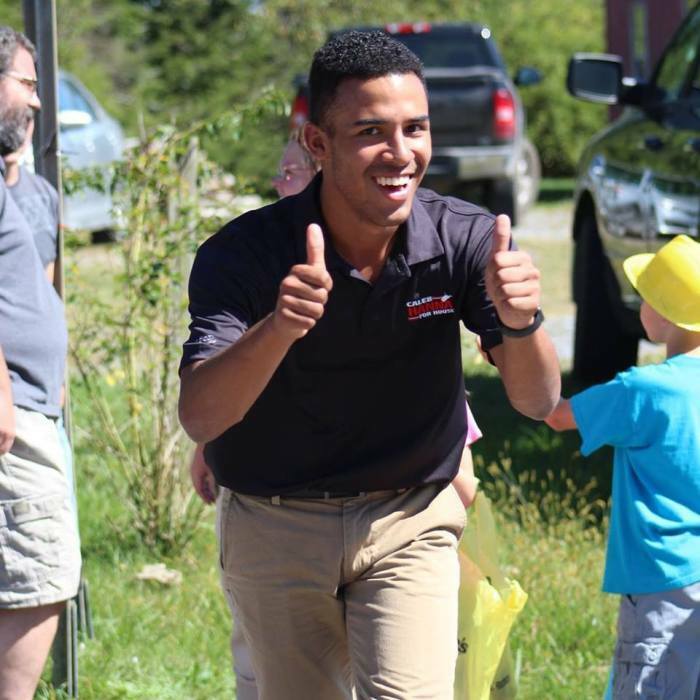 Caleb Hanna, the West Virginia State University student who at 19 became the youngest African American to be elected to a state legislature, is a pro-life Christian Republican who says he was inspired by former President Barack Obama. Hanna, 19, was elected last November to the West Virginia House of Delegates as a Republican, on a platform of investing more state funds in career and technical education. “I’m proudly a Christian conservative and was raised on the belief that success is built with hard work, commitment and dedication – West Virginia values that continue to guide me today,” he explained in the Register-Herald ahead of his election last year. He beat three-term incumbent, Webster County Democrat Dana Lynch, 1,306 to 874 in the fragmented 44th District. In a recent interview with the Charleston Gazette- Mail he explained that his political philosophy is driven by “God, guns and babies,” and his worldview is informed by his faith. He was an active member of the Christian organization Young Life at Richwood High School and worships at the Little Laurel Baptist. He is also dating the daughter of a pastor at another church. The teenager who is majoring in economics at West Virginia State University, told WJLS that he wants to serve in government for as long as he believes his efforts are having a positive impact on people’s lives. Hanna said he grew disenchanted with Obama however after his father was laid off “in the mines.” He said Obama’s policies were bad for West Virginia so when he was old enough to register to vote he registered as a Republican. He is now focused on championing his platform. “Our state has been pushing students toward a four-year college degree when what we need is more technical training. We don’t need to spend four years in college just to acquire a bunch of debt,” he told the Gazette-Mail. He remained undaunted when he became the target of flyers containing racist claims, which were enclosed in a ziplock bag filled with birdseed. The bags were tossed into the yards of several homes that had his campaign signs the Gazette-Mail said. “I reported it to the sheriff only because I was concerned about the safety of my supporters,” Hanna explained. He plans to explore his black heritage at the historically black West Virginia State University. His favorite professor, Dr. Ali Zayati, who is from Morocco, praised the young politician’s work ethic so far. Despite his Christian faith, Hanna says he is also in favor of legalizing medical marijuana. “Maybe even recreational if I learn more about it. I see this as a tremendous revenue opportunity for our state,” he said, pointing to Colorado.